MILLION DOLLAR VIEWS OF THE WATER !!! Highly desirable END UNIT with ADDITIONAL VIEWS!!! 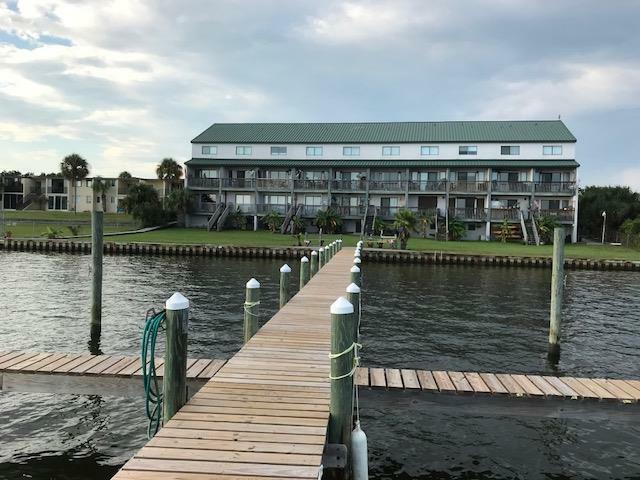 Waterfront condo on the Santa Rosa Sound with incredible sunsets and water views!! This two story two bedroom condo has new granite in the kitchen, title floor downstairs and berber carpet upstairs. Lots of views and natural light in the living and dining area. Sliding glass door off the living area to the balcony overlooking the large grassy lawn with the private dock on the sound and views of the Gulf of Mexico. Great area for the kids and pets to play. Brand new AC unit installed this year, Hot water Heater 2 years old. Full size Washer and Dryer conveys with the sale. This Condo is a MUST SEE and is an exceptional value. Condo is being SOLD AS IS.